There really is no need for a recipe posted here, but just in case…Toast some good bread (I used Como bread, but a seeded wholegrain would be delish as well). 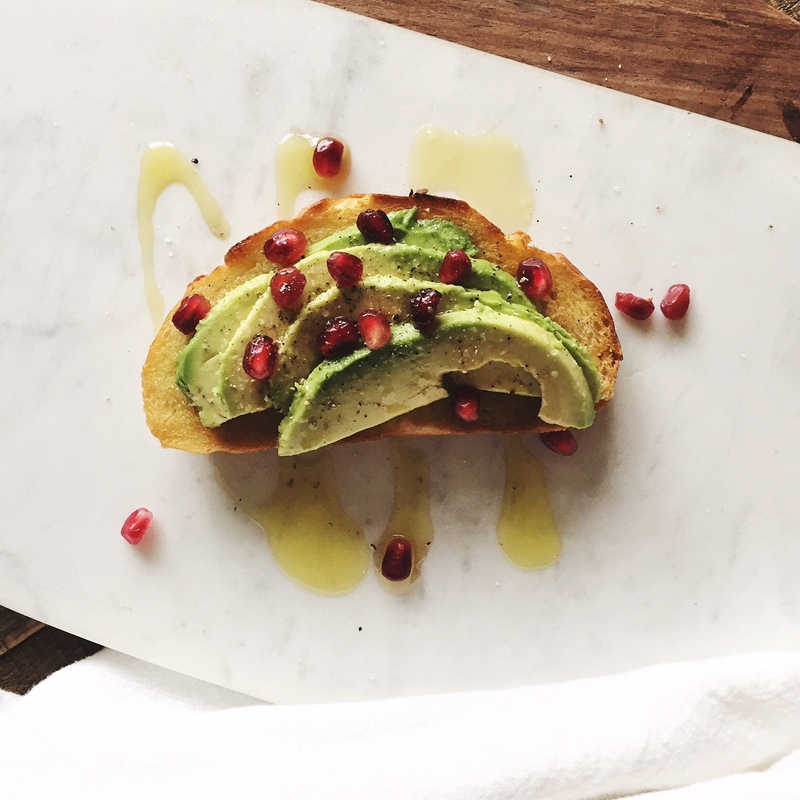 Thinly slice some ripe avocado for your toast. Drizzle with good olive oil, sprinkle with salt, pepper and pomegranates. And the next most important step is to take a huge bite (if in the company of one’s own) and enjoy comforting yumminess of this fabulous combo! So I’m in serious need of some good ol’ comfort food and I’m sorry, but I just can’t wait until the fall for it to be “acceptable” again to indulge myself in mashed potatoes, mac n cheese, mashed potatoes…I mentioned that one already didn’t I? That said, this is a comfort food disguised in a spring package! 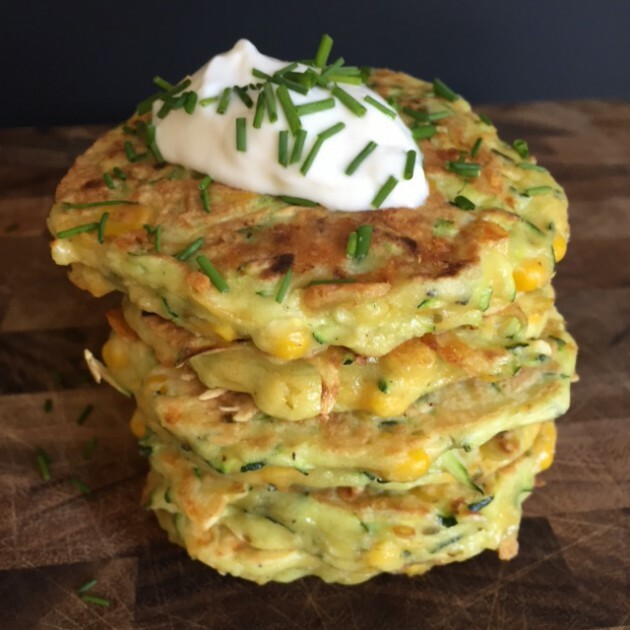 They are easy, flavorful, seasonal and down-right comforting. In fact I am eating some right now 🙂 Perfect for a quick throw together dinner or even make mini ones for an appetizer for a ladies night in. Heat a large cast-iron skillet or griddle to medium-high heat, adding a very small amount of oil to the skillet/griddle. I used cooking spray to make it easy. Using an ice cream scoop, scoop 1/4-cupfuls of batter onto the skillet and flatten with the back of the scoop into a circle about 4 inches in diameter. Cook on each side about 3-4 minutes, or until a deep golden brown. Remove from skillet and transfer to a plate. Repeat with remaining batter. Serve warm with your favorite toppings. 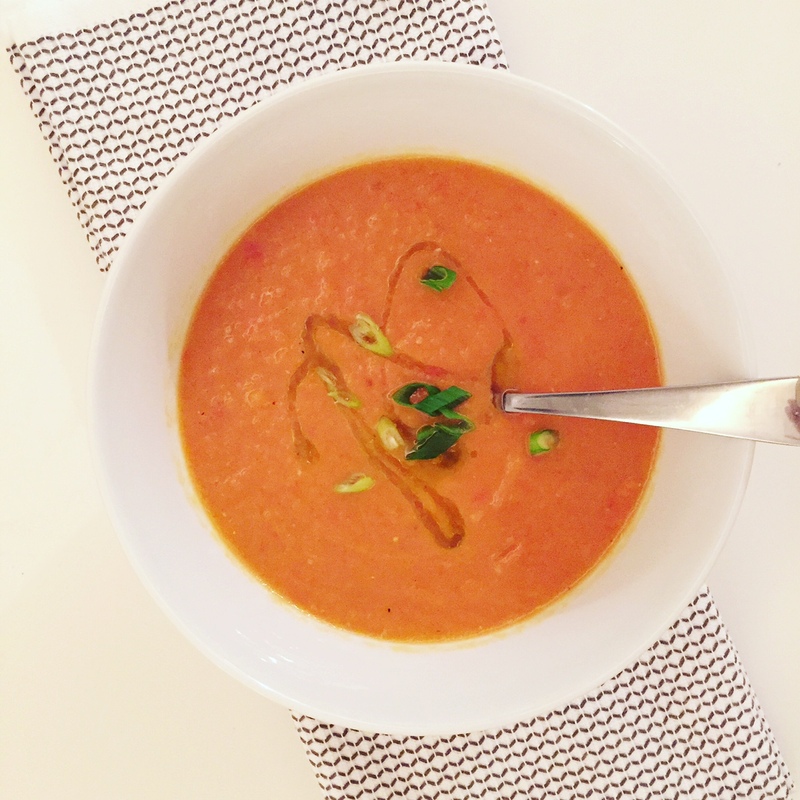 Soup Craze! 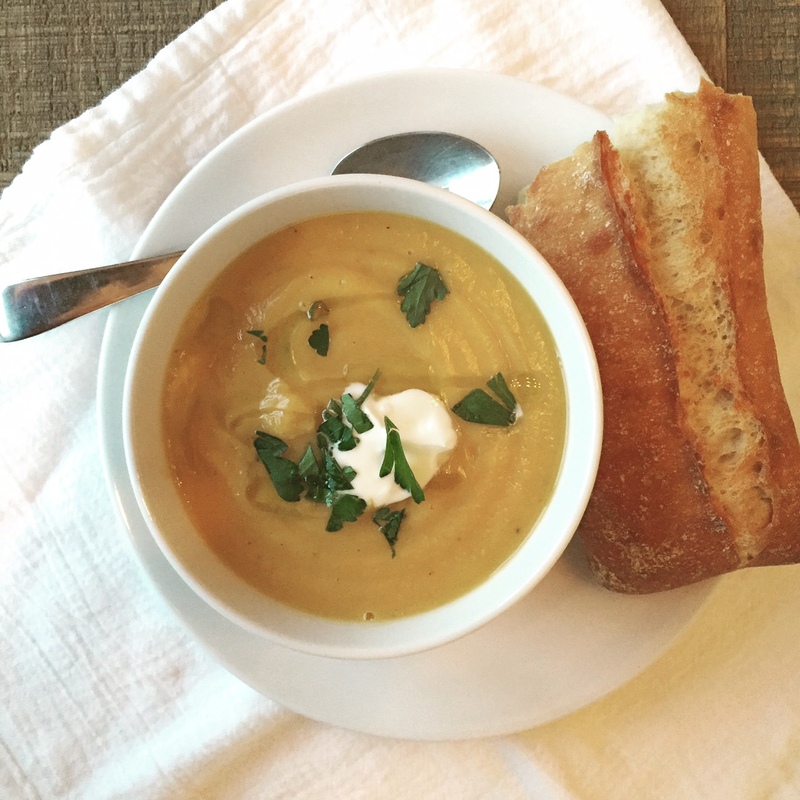 Butternut Squash…Tomato…What’s Next Week? I just finished up an evening with long time girlfriends. It’s our second annual gathering to wrap presents for an adopted family and I have to say, it’s something that I am so thankful we started last year and hope we continue for many years to come. I’m also wondering why we didn’t start it sooner?! 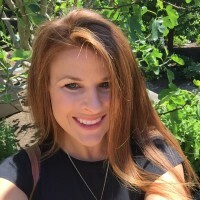 Thank you Kelsey for kick starting us! It’s the least we can do for those in need, especially when we all pool our resources together and buy gifts for a family that needs a little extra help over the holidays. Not only does it feel good to wrap presents for others, but it’s a great excuse for us to all gather together when our lives are so busy with our own families and children and activities. We get to chat, drink wine, and nibble while we wrap the gifts. I wish we could do this more often, but I will take what I can get! A humble offering of soup seemed right for the occasion (plus I’ve been on a soup kick these last few weeks…tomato, pesto vegetable with orzo, cream of broccoli and potato leek), so I made a roasted butternut squash and parsnip soup topped with creme fraiche and parsley. Super easy…ahem…here is the tip that makes it so easy…buy the precut squash from your supermarket!!! Just throw your squash, parsnips and onion on a pan with some parchment paper and olive oil to roast and you have pretty much finished the bulk of the work. Shazzam! Here’s the recipe for the Butternut Squash and Parsnip Soup…and scroll down for the Tomato Soup recipe from an earlier instagram post too! Heat oven to 400 degrees. Spread the chopped vegetables on a parchment lined sheet pan tossed with a few tablespoons of olive oil and roast in the oven for 40 minutes or until soft. Place roasted vegetables in a large pot and add vegetable stock. Heat to a low boil and add remaining ingredients. Then using a stick blender (my preferred method), blend the soup until smooth. Serve and top with creme fraiche and parsley. * You can easily substitute other vegetables for the parsnips, such as carrots, potatoes, etc. In a stockpot, over medium heat, saute the onion and garlic cloves for 8-10 minutes. Add broth and tomatoes and bring to a boil, and gently boil for about 20 minutes to blend all of the flavors. Add the chopped basil. Remove from heat and run the mixture through a food processor or use a stick blender (my preferred method) and blend until smooth. In a small pot, melt the butter over medium heat. Stir in the flour to make a roux, cooking until the roux is a medium brown. Gradually whisk in a bit of the tomato mixture, so that no lumps form, then stir in the rest. Season with sugar, salt, balsamic, cream and adjust to taste. 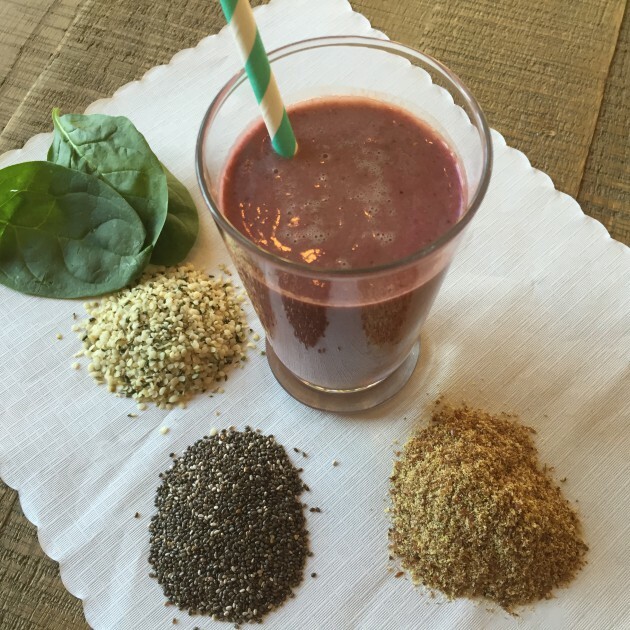 Usually when the weekend comes, I am ready for a smoothie and this one is by far my favorite (after much trial and error), not only for the flavor, but also for the loads of good healthy stuff in there. And the best part? You can’t even tell all the good stuff is in there! Yahoo! Add all ingredients to blender and blend until smooth – voila! 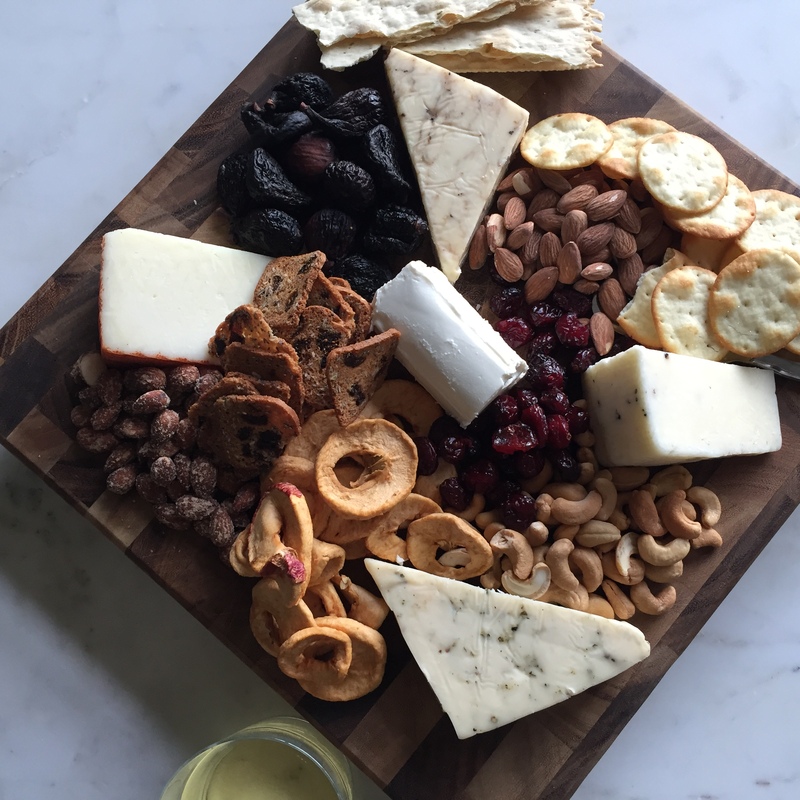 I hosted some girlfriends the other night for appetizers and drinks and I wasn’t in the mood to make a million little fussy apps, so when I’m feeling lazy, this is my go-to version of a cheese board. It may be the lazy way out, but it’s always a show stopper and pleases the crowd because there is something for everyone to pick away at. And it’s also perfectly seasonal for this time of year. 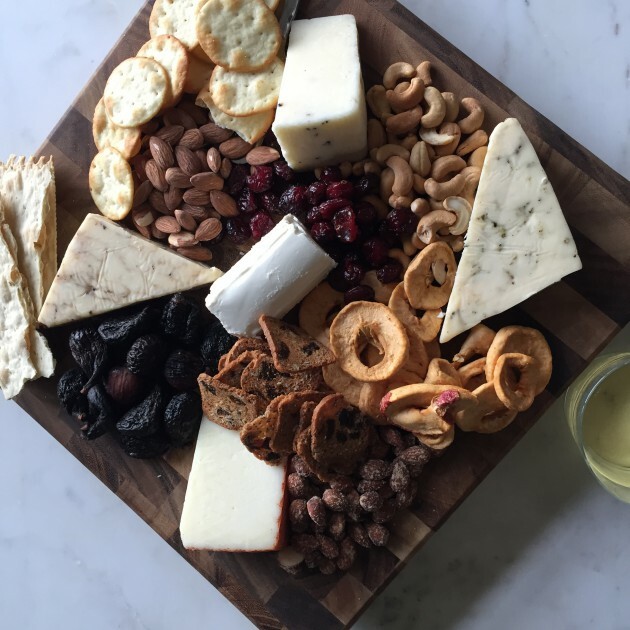 Cheese, crackers, nuts and dried fruit all arranged on a giant platter, board or whatever you can find. How can you go wrong?! 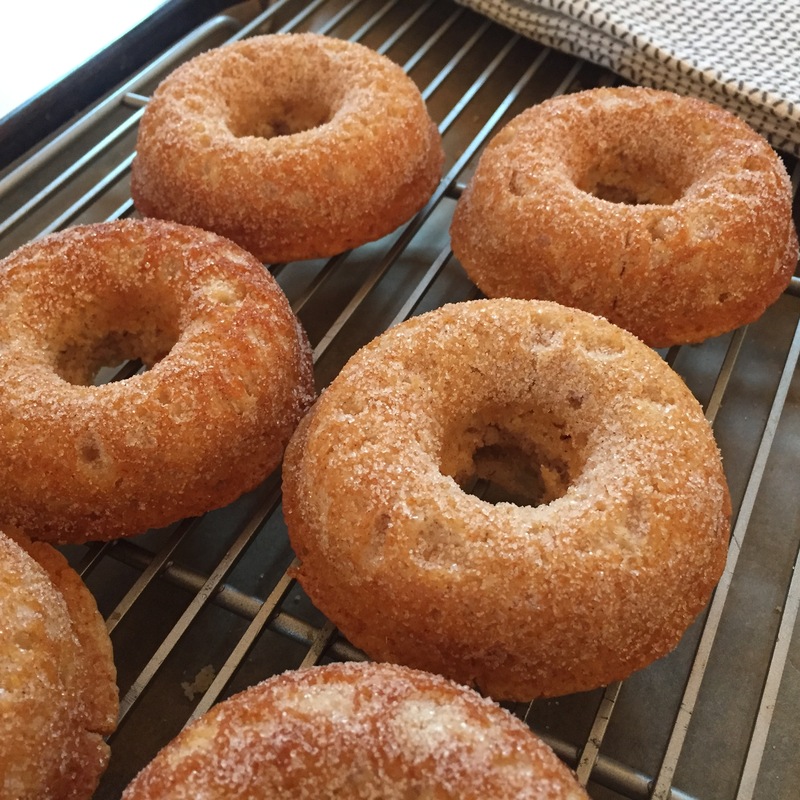 Eggnog Cinnamon Donuts – Yum! Can I just say these donuts are yummy, festive and easy. I made these on Friday, it’s now Monday and the last one was just downed this morning by my four year old. And it was a big batch! I adapted the recipe from Ina Garten and let’s face it, her recipes are pretty amazing! If you don’t have a donut pan, you could easily make these in to muffins, but I strongly urge you to get yourself one (or two) for baking donuts (so much healthier than frying!). The family will love you for it! Combine the sugar and cinnamon in a small bowl. Dip each doughnut first in the cinnamon sugar, either on one side or both sides.